When Chinese President Xi Jinping visited the U.K. last year, the then-British Prime Minister David Cameron took him to a village pub for a pint of beer and a meal of fish and chips. Just over a year later, a Chinese company now owns the pub. 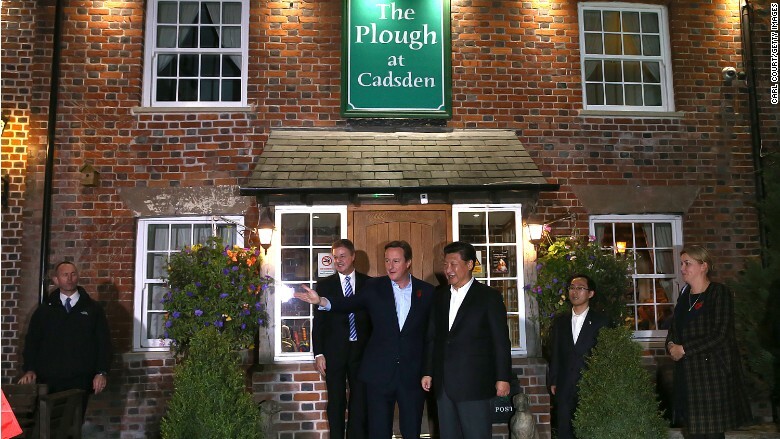 SinoFortone, a Chinese investment firm, has bought The Plough at Cadsden, the closest pub to the U.K. leader's countryside residence. The deal was brokered by real estate advisory group Christie & Co, which announced it on Monday. The Plough "has become quite a tourist attraction for Chinese visitors ... who are keen to sample the classic British food and beer that the president tried," Neil Morgan, managing director for Christie & Co's restaurant division, said in a statement. 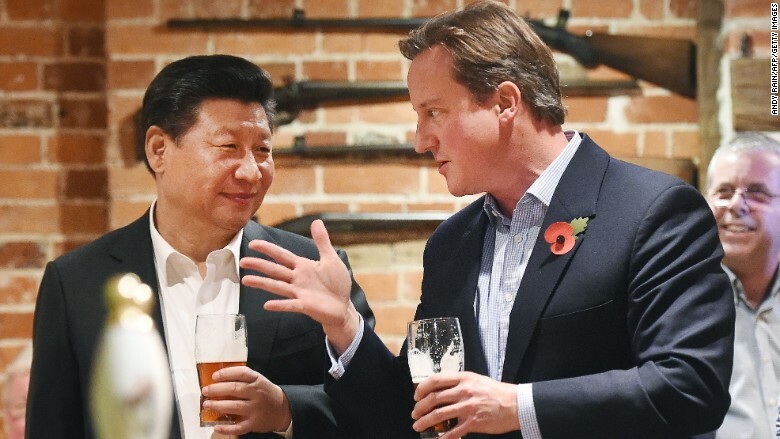 A Chinese firm now owns the English village pub where Xi Jinping had a beer with David Cameron. Cameron, who quit after the Brexit referendum in June, isn't the first U.K. leader to stop by the pub. A photograph on the Plough's website shows former Prime Minister Edward Heath enjoying a drink there in the 1970s. Several others have also visited, it says. Christie & Co didn't say how much the pub was sold for, and CNNMoney wasn't able to reach SinoFortone for comment. Chinese takeovers of establishments frequented by world leaders have caused controversy in the past, with President Barack Obama choosing not to stay at New York's famous Waldorf Astoria hotel last year after China's Anbang Insurance Group bought it. SinoFortone's purchase of the British pub is a small but symbolic addition to China's massive overseas spending spree this year. Chinese companies have pumped tens of billions of dollars into sectors like technology, real estate and entertainment in countries around the globe. China's people are also traveling farther and more frequently than ever before, with official data showing the number of Chinese tourists abroad has doubled to 120 million over the last five years. The Plough at Cadsden is the closest pub to the U.K. prime minister's country residence. 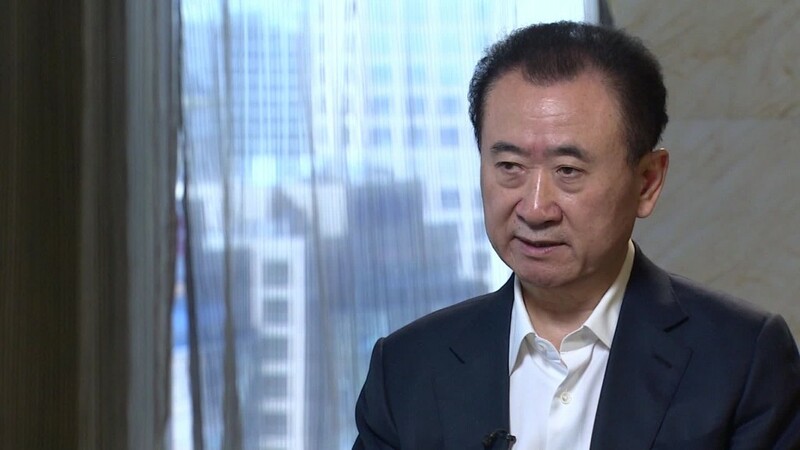 SinoFortone already has business interests in the U.K., including $156 million it pledged to a Paramount theme park in London ahead of Xi's visit last year and a partnership with British company Orthios to develop two eco-parks in Wales. But pubs aren't exactly a booming sector at the moment -- according to industry figures from last year, anywhere from 13 to 29 pubs in the U.K. shut down every week.